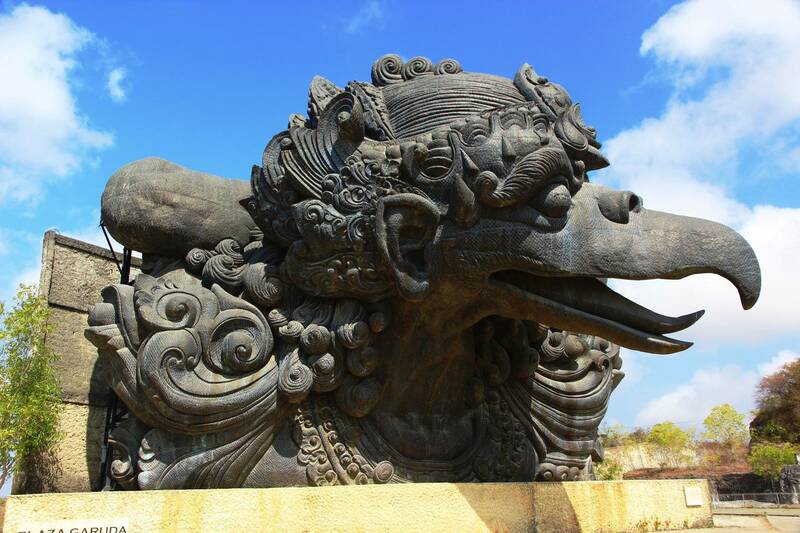 Mandala Garuda Wisnu Kencana, or Garuda Wisnu Kencana , is a cultural park covering approximation 60 ha area located in Ungasan, Badung Regency, or about 10–15 minutes driving from Bali Ngurah Rai International Airport. 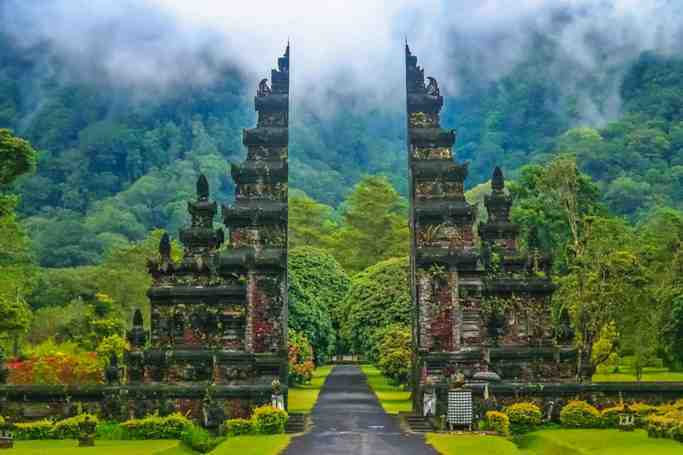 It is devoted to the Hindu God Vishnu, and his mount, Garuda, the mythical bird who become his companion. Currently, the statue of Vishnu is 23 metres (75.5 ft) high, although the original plan was for a 120-metre (390 ft) gold-plated Vishnu riding Garuda on top of an 11-storey entertainment complex. Garuda wing span will be 64 metres (210.0 ft) across. The idea was not without controversy, and religious authorities on the island complained that its massive size might disrupt the spiritual balance of the island, and that its commercial nature was inappropriate, but some groups agree with the project, because it will make new tourist attraction over barren land. In 2013 Nyoman Nuarta and PT Alam Sutera Realty Tbk (IDX:ASRI) joined to build villas and apartments in the GWK area in exchange for Rp150 billion ($14.4 million). Nuarta plans to spend Rp20 billion to make another bust and to move the existing bust to another site 300 meters from the original site. It plans to spend additional Rp29 billion to make the new statue of stainless steel instead of galvanized steel as proposed previous design. 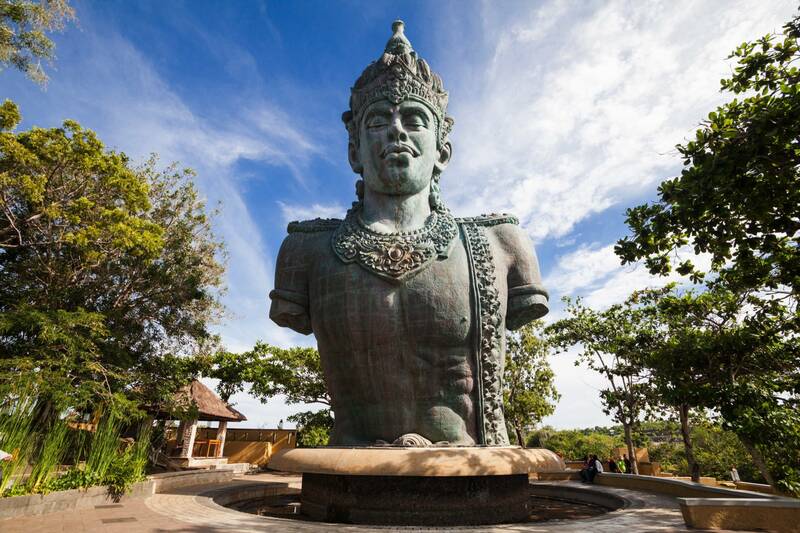 Garuda Wisnu Kencana | eTips Inc.